I had a very exciting night out on Tuesday when I popped down to Greenwich to see the first ever film to be subtitled AND be in 3D! Apparently, getting subtitled in a 3D film poses a whole range of technological challenges that it’s not been possible to fix until now. I’ve even been told that if the subtitles appeared wrong, people will throw up – without it even being a recent Eddie Murphy ‘comedy’ film. A quick glance at the screen without my 3D glasses revealed why – the subtitles have to be printed on the screen in overlapping text (and thereby impossible to read) in order to be viewable clearly in 3D. 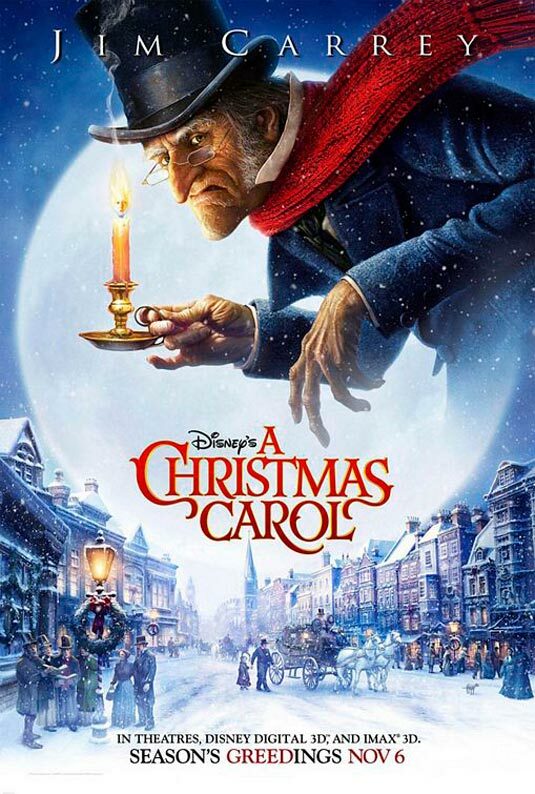 The film that gets the honour of being the first ever 3D subtitled film is Disney’s A Christmas Carol so a big hats off to Disney. I felt obliged to go and see the film having provided a quote for a Disney press release welcoming it, but I’m pleased to say it was a very enjoyable film and the 3D effects were, as I believe the kids say, cool. When it was snowing on screen, it almost felt as it was snowing inside the cinema. That said, I remain of the firm belief that the Muppets Christmas Carol is the definitive film version of the Dickens classic. It’s great news for deaf children and young people, who might otherwise have missed out on the opportunity to see the latest 3D films along with their hearing friends. The hope is that even more 3D films will be subtitled. I’m told that the up and coming big film, Avator will also be in subtitles and 3D. My only gripe – and it’s not meant to detract from the achievement – is that virtually all of the showings of the film in London were either on a Sunday and Tuesday. Luckily, I was free on the Tuesday, but I did find myself grumbling “Bah! Humbug!” at the lack of choice over when I could see the film. But in the meantime, well done to Disney for a real Christmassy treat! PS You can find out where A Christmas Carol is showing in your area with subtitles by going to the ever helpful Yourlocalcinema.com website. A few weeks ago, I mentioned that Your Local Cinema.com had been nominated as Best Arts Project for the National Lottery Awards. Well, they’ve gone one better and made it to the finals! I wasn’t allowed to talk about it before but the reason I was doing a TV interview a while back was for a feature encouraging people to vote for Your Local Cinema.com. You can see the video here but be warned that there are no subtitles. It leaves me in the slightly odd position of not being entirely sure of what I’m saying. I’ve had words with them by email and hopefully it will be sorted soon. Fortunately, I’m too pleased that they’ve made it to the final to be absolutely furious about it. Anyhow, get voting! Votes must be in by noon on the 14th August. UPDATE (12/8/09): You can now see the video with subtitles here.